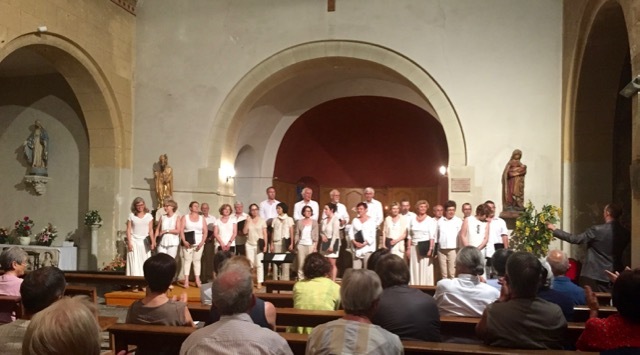 In a French country church, a few dozen people are gathered for a concert on a warm Saturday night. The programme is dedicated to Francis Poulenc’s sacred music, some of it composed during the composer’s visits here in the 1930s. The singers have travelled far to perform. All are amateurs, gifted singers in this highly participatory art form. As their pure sound – imagined for just this kind of acoustic – fills the church, I’m struck again by art’s indifference to the complicated and unstable beliefs of its creators. There are services here about once a month now – the parish includes 14 churches – so Poulenc’s Mass in G is sung tonight as a secular not a religious ritual. But from a sociological or an anthropological perspective, there are more similarities than differences between our faiths. Most of us need to believe in something greater than our selves, if not god, then art, or love, science, country, democracy, family… Art can accommodate all these and many other ways of making sense of life. It does so by offering pathways for exploration – openings, not answers. Answers are for politics and art is always diminished when it is tied down to such temporal ideas. It needs to be untethered, able to drift free from the control of both its creators and its audiences. With no certainties of its own, art helps us live in an uncertain world.